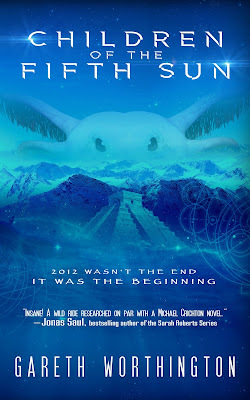 This sneak preview includes the first 9 chapters of Children of the Fifth Sun and some extra "behind the scenes" material which inspired one of the characters you'll meet between the covers. Do you want to pay to BitPay through your Binance account? How one can carry forward that process without making an error? If you are unsure about the process and need assistance, you can call on Binance.com Exchange 1888-764-0492 and get fruitful results in no time. The team is always there to guide you and look for the steps that are easy to understand and accessible to implement. How do I send one crypto to other crypto in Binance Wallet? Do you know how to send crypto in Binance from one crypto to another? If no, you can take help from the talented bunch of individuals who work nonstop and have solutions to every Binance query. The bunch of individuals are skilled and guide the accurate procedure related to query you are dealing with. Take your phone and dial Binance support number and avail the finest and convenient solutions from the professionals who are trained and can fix the errors or queries in no time. Hey users, generating new send and receive address is not easy if you have less or no information about it. Well, under such scenarios, reaching the well-adroit experts is beneficial for you. The experts will offer required and easy to access solution instantly. They value customers, therefore, they are available 24*7 to advise them. You can call the experts by dialing Blockchain support number anytime. So, make best use of their services and enjoy Blockchain smoothly. Bookingly Yours - Copyright 2008. Powered by Blogger. Share book reviews and ratings with iamjenai, and even join a book club on Goodreads.